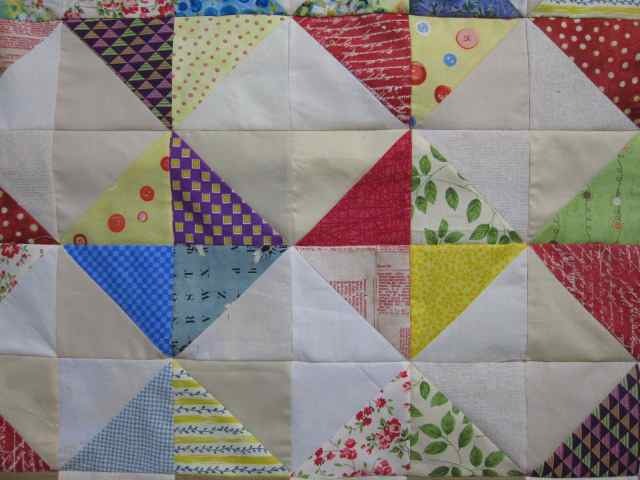 Summer Fun…Quilt till you drop. 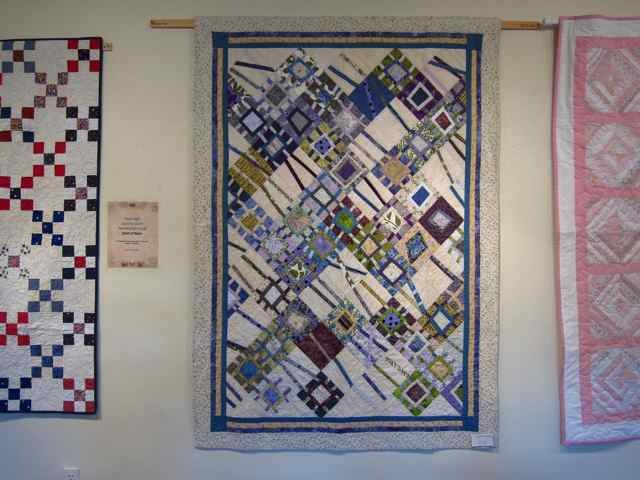 July started out with the quilt show at the Stables Gallery in Taos. 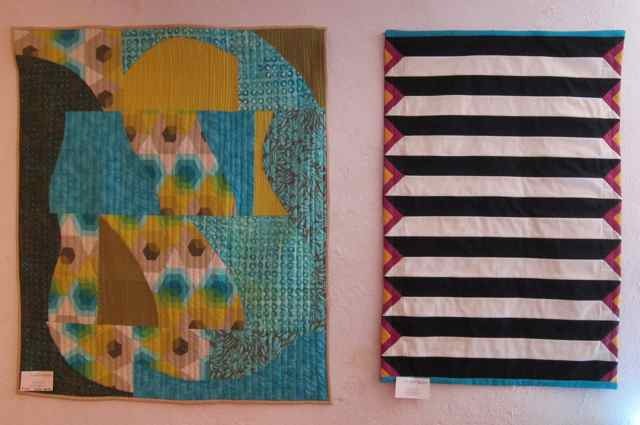 I dragged a bunch of quilts up to Taos, and luckily there was plenty of room to hang them all. Of the 5 I hung, 3 were for sale. Naturally, I only had inquiries to buy the other two. Donna's Winter Peace and my Marcelle Medallion - not for sale. I recently bought a Juki HGL Z210, since my other Juki is just a straight stitch. 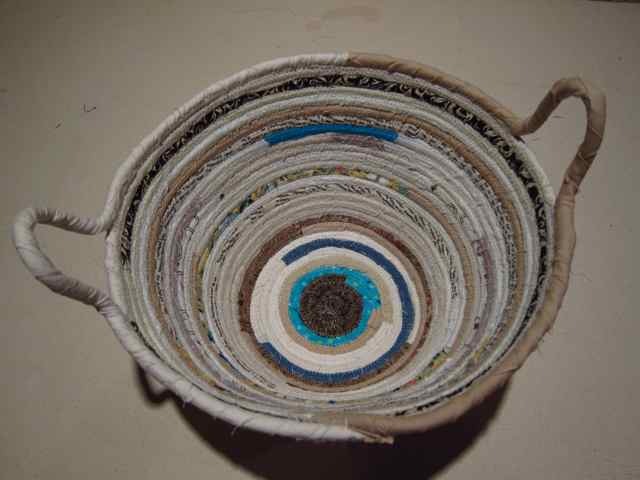 This allowed me to try making the fabric baskets. Which I loved....Even the very first one was so cool. I stuck a price on it and put it on a table at the quilt show, and it was gone in 30 minutes. I barely had time to enjoy it. Since then, I whipped out a few more. 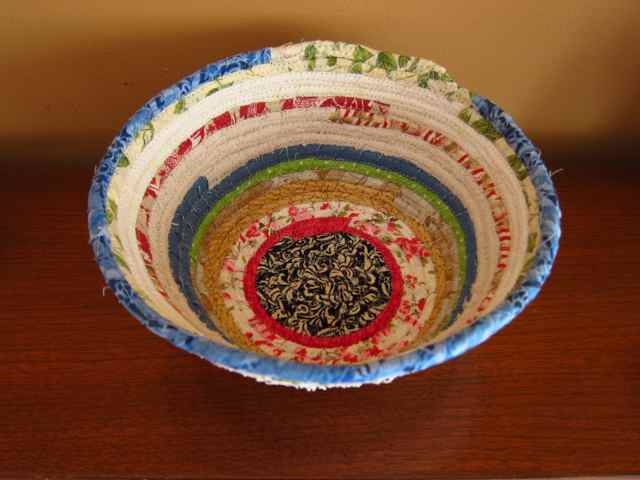 So now I've got several quilts in the barrell, so to speak. 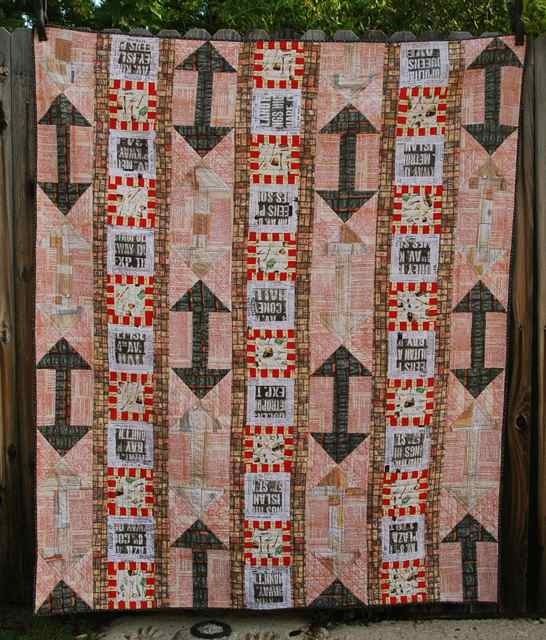 I've got this Jelly Roll quilt, using a roll I bought two years ago. It's in the quilting que. 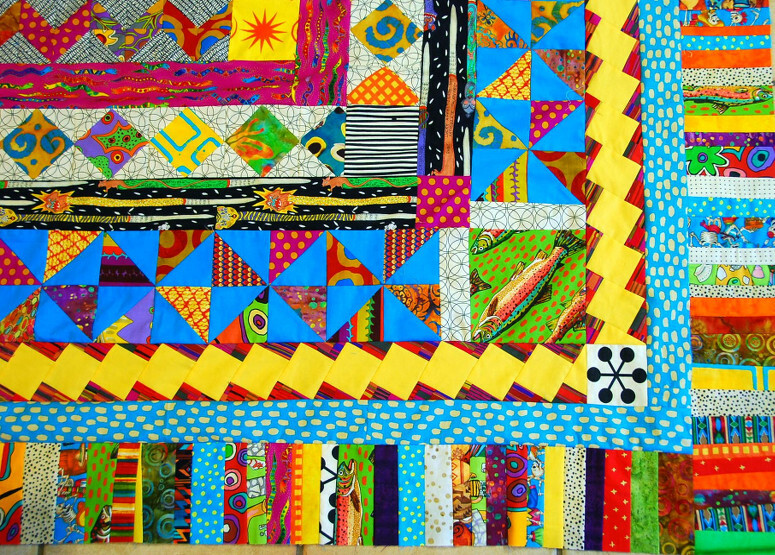 I still have the Midnight Run to quilt. I patiently waited a long time to get the right backing for this quilt. 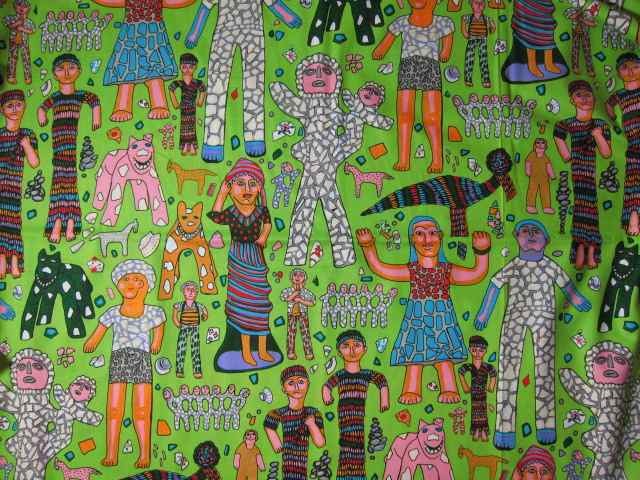 I wanted some of Terrie Mangat's fabric that is out of print. I was fortunate to spend a few hours with her at the quilt show, and I managed to purchase some of her stash at home. Oh my goodness, I loooooove it. I love her! The talent just oozes out of her. 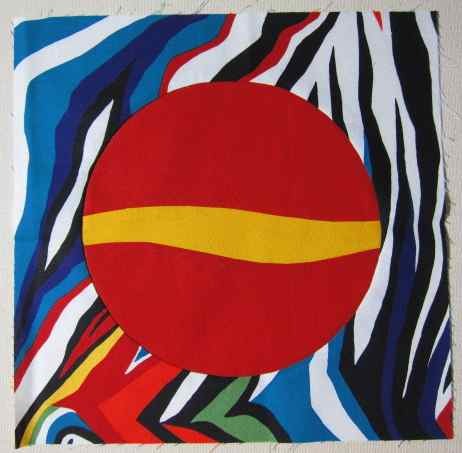 This quilt will be next on my machine as soon as I finish the customer quilt on there now. 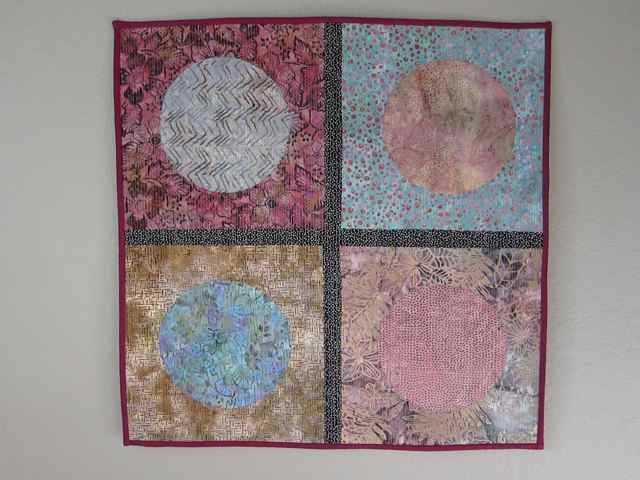 I've got 4 other quilts up in Taos ready to be hung in the Taos County Fair in August. Again with the Winter Peace and Marcelle Medallion, plus Taos Magic (which is a larger version of the Marcelle Medallion) and Wayne's All In A Day's Work. That'll be fun. This will be my first time to see this fair. 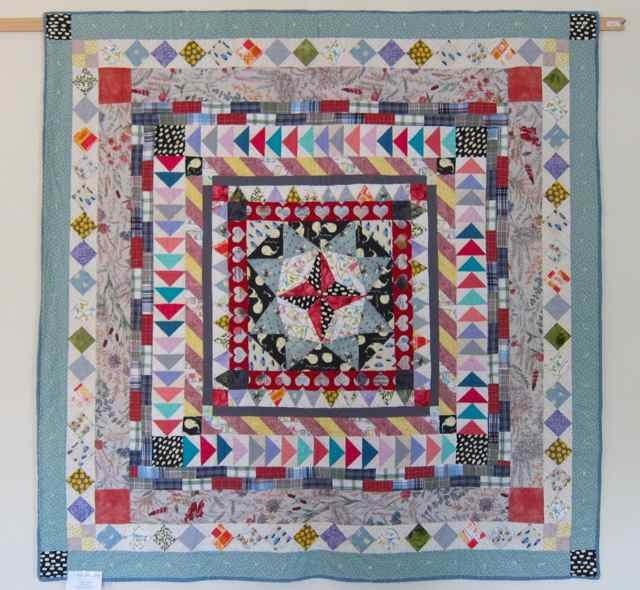 I'll be teaching a class on the Piecelique technique, a brainchild of Sharon Schamber, here in Arlington, and again at a retreat in Colorado with the Taos Quilting Guild. 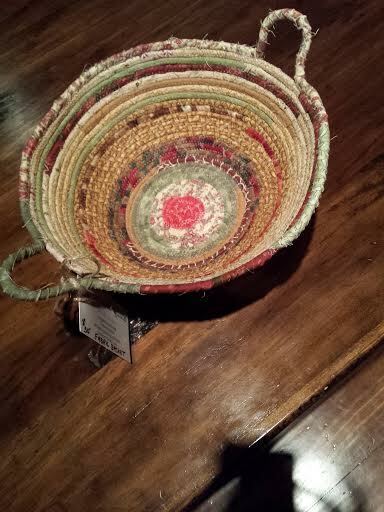 So I put this together this week as a sample, a 26x26 mini, plus another 12" block-soon-to-be-potholder. 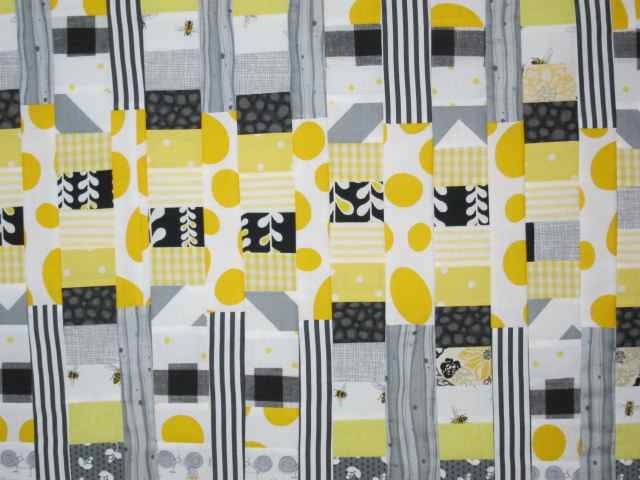 And now I've started yet a 4th quilt, for a wedding gift. 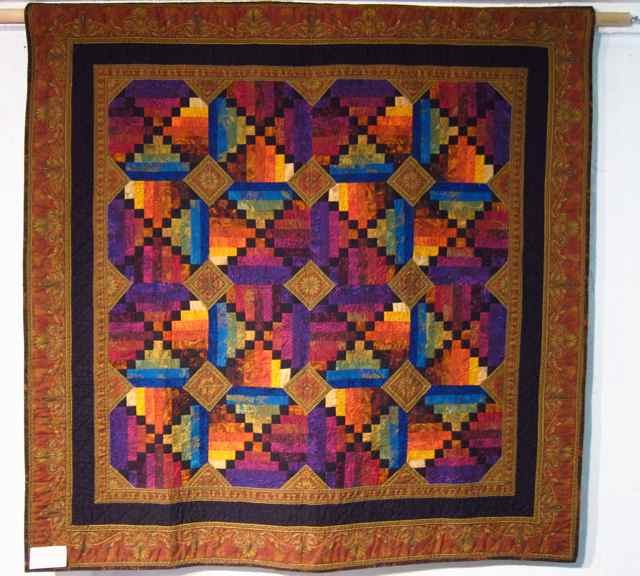 Another 'everything but the kitchen sink no plan whatsoever quilt' - always my favorite. This is all I've got so far. So this is what happens when I post something only once a month...it's soooo long. 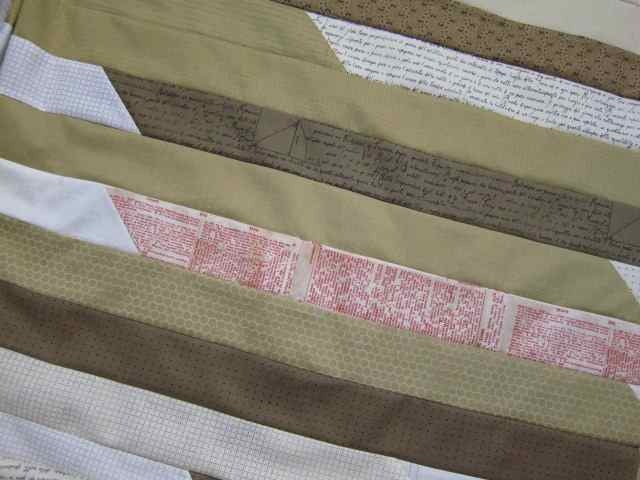 I'll be back after all these things are quilted! Thanks for reading this thing....Barb. Res en contra de l’article, però no estic d’acord amb un parell de punts a alguns extenct. Sóc probablement una minoria, però, lol. Gràcies per compartir.